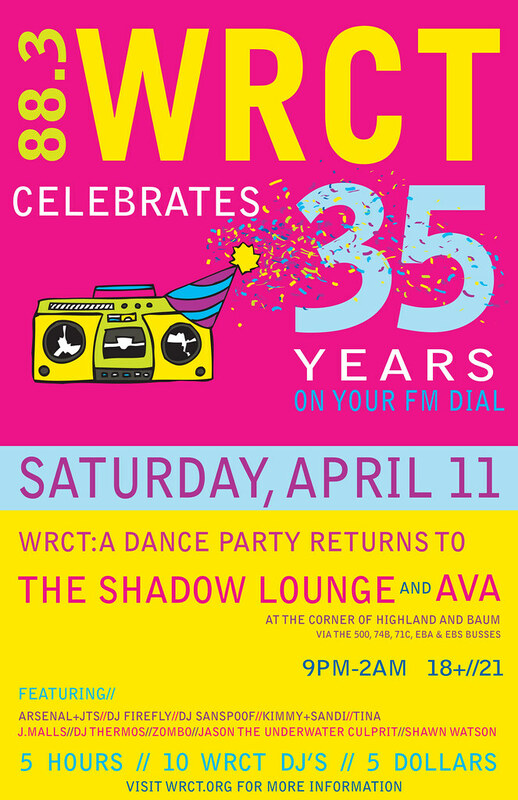 In celebration of 35 years on your FM dial (and 60 years of being a radio station), WRCT is taking over the Shadow Lounge and AVA on Saturday, April 11 from 9p-2a. The event features 10 WRCT DJ’s between the two venues, plus some chiller tunes being spun in the Blue Room. We hope you’ll come out to drink, dance, and celebrate with us. Tonight, I spun the clickwheel of my iPod until “Ride Around Shining” by Clipse came up. Upon its release, the song and the album that housed it sparked a debate among the Internet cognoscenti about its ethics, or lack thereof. Was Hell Hath No Fury a nuanced treatment of the drug trade’s moral complexities or a raw glorification of crack and the cash that came of it? I never really took a side in that argument — the ruthlessness of the production transfixed me more than the cold-hearted consumerism of the lyrics. Returning to the song, nearly two years later, it seems unsettlingly prescient. It’s as if Clipse knew, in the summer of ’07, that the housing bubble was overdue for bursting, and that the economy, a year and a half down the road, would be stumbling and desperate, like a crack addict caught in Virginia Beach traffic (of two kinds). “All I wanna do is ride around shinin’ while I can afford it” — did they know? Listening to the song today, it’s hard to say if the cloud of detuned piano that hovers over the minimal beat presages collapses or confirms it. Is that miasma of notes the tremor that says “earthquake,” or the dust of crushed concrete settling after disaster has already come? Are Clipse a pair of fortunetellers or funeral directors? The song, like its creators, seems caught between violent scenes. Virginia Beach rappers aren’t dirty South and they aren’t New York. They’re coastal, smooth, but never as glib as Snoop and Dre. They wouldn’t fit in Los Angeles. They rap in suspension, with the devil-may-care edge of a parolee speeding past the police station in a stolen convertible. A decade that started with a hyped crisis that never materialized (Y2K) is ending with an economic crisis borne of over-hyped material (toxic securities). For this author, “Ride Around Shining” is the anthem that captures the spirit of those two endpoints, as it cruises on a vaporous chassis, grille gleaming, right between them.